Peru is first in the group with three points as they won against Haiti in their first game, then we have Brazil and Ecuador both second on the table with 1 points as they drew their match against Ecu and last we have Haiti with 0 points. Both teams will play their best if they want to win and gain in the table. 09th June 2016 at 07:30 (IST). Brazil had nine shots out of which two were on target whereas Ecuador had six shots out of which only one was on goal. Brazil had 18 tackles in total whereas Ecu had 25 tackle in total when it comes to clearances Ecuador had 21 and Brazil had 11, as Brazil dominated most of the possession they had 644 passes in total whereas Ecu had 272 passes in total. Brazil received three yellow cards and Casemiro, Gil and Elias were the offenders whereas Ecuador also received three yellows and Juan Carlos Paredes, Enner Valencia, and Jaime Ayovi were the offenders, Brazilian team received the yellows in 18th, 35th and 38th minute whereas Ecu received it in 47th, 77th and 86th minute of the game. Peru played against Haiti in their first game and won the game by 1-0 as Paolo Guerrero scored the only goal in 61st minute of the match. Haiti had 48% possession whereas Peru had 52% of it, Haiti had three corners whereas Peru had four, Haiti had five shots in total out of which one was on target and Peru had ten shots out of which five were on mark. Dreer, Paredes, Mina, Achilier, Ayovi, Noboa, Gruezo, Valencia, Balonas, Montero, Enner Valencia. 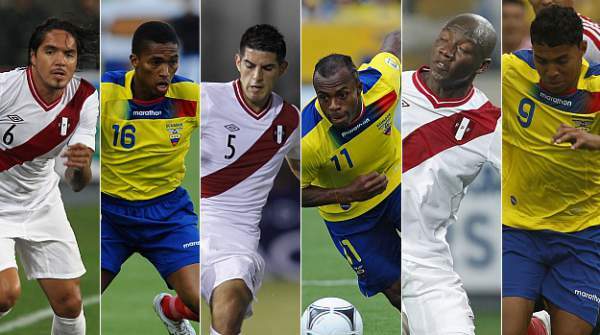 Gallese, Revoredo, Ramos, Rodriguez, Trauco, Tapia, Vilchez, Hohberg, Cueva, Flores, Guerrero.